I’ve been in the studio making plates…lots and lots of plates! Here’s a little video to show you part of the process: (Please excuse the shaky camera, I was filming it with my ipad, so only had one hand free.) 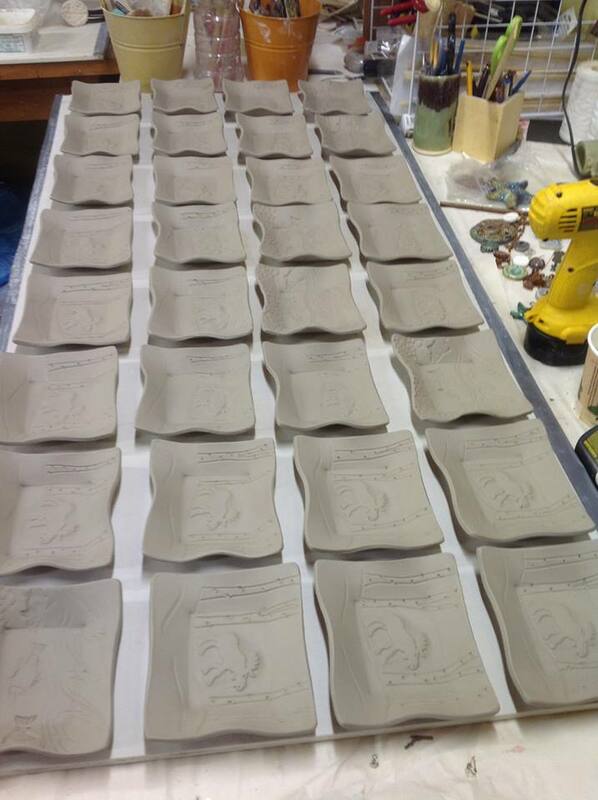 A photo of some drying plates: I get excited looking at how many I have gotten “done”, but then I think, oh yeah, still have to put them in the kiln, fire them, take them out, glaze them, put them back in the kiln, fire them, take them out again…. 🙂 Bye! May 23, 2013 in Raku Pottery. I love the design! Yes, the mundane processing aspects are not so exciting, but the product is so worth it! Carry on! I have friends that want to come see your shop over Celtic Colours.